Chelsea’s players have touched down in Greece as they prepare to start their Europa League campaign. The Blues play their first European game of the season against PAOK in Thessaloniki on Thursday evening. 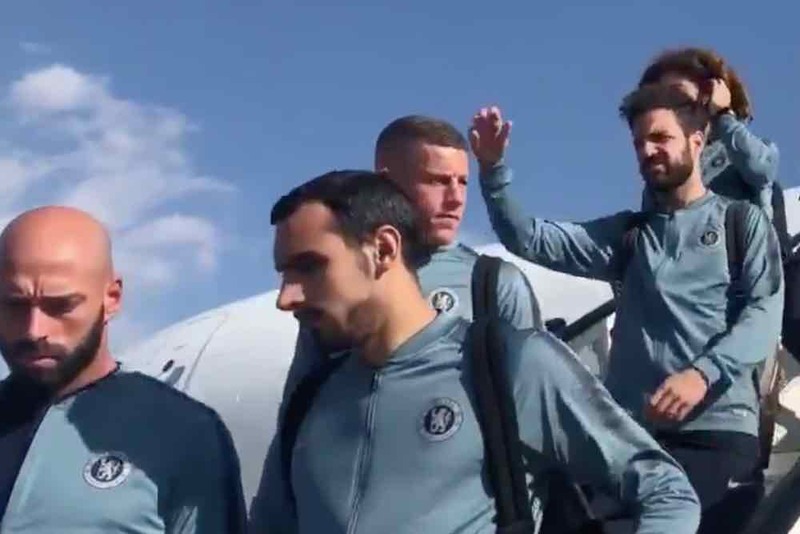 You can see Maurizio Sarri’s squad disembarking their plane in the video below. Midfielder Cesc Fabregas looked like he had probably been enjoying a nap on the flight, while Ethan Ampadu – fresh from signing a new five-year contract – is also among the travelling squad.